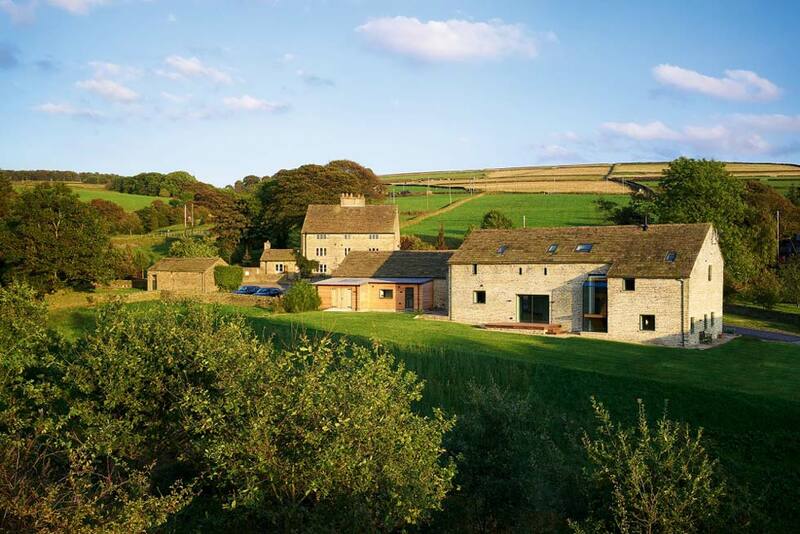 For Iain Townley, the thought of undertaking a barn conversion project hadn’t even crossed his mind when he and wife Helen bought a well-run sprawling hill farm in Macclesfield back in 1999, which included an old three storey farmhouse, 67 acres of land and several outbuildings. 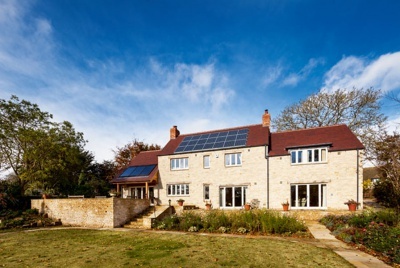 At the time Iain was farming nearby land, and when the farm came on the market the opportunity for a project immediately appealed to Iain’s love of building. Originally the couple bought the property with the intention of living in the existing Grade II-listed farmhouse, however, after a couple of years realised that they simply didn’t need all the space that the three storey, six bedroom property offered them, and so in 2009 they turned their attention to the outbuildings. 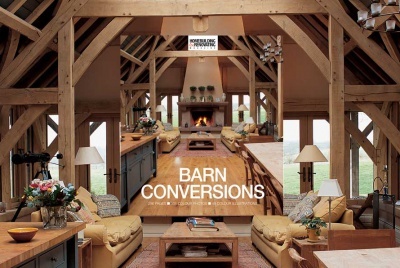 After deciding to renovate one of the larger barns, Iain submitted plans for the conversion and change of use of the building, and planning was granted in 2009 — although work didn’t start until the end of 2011. 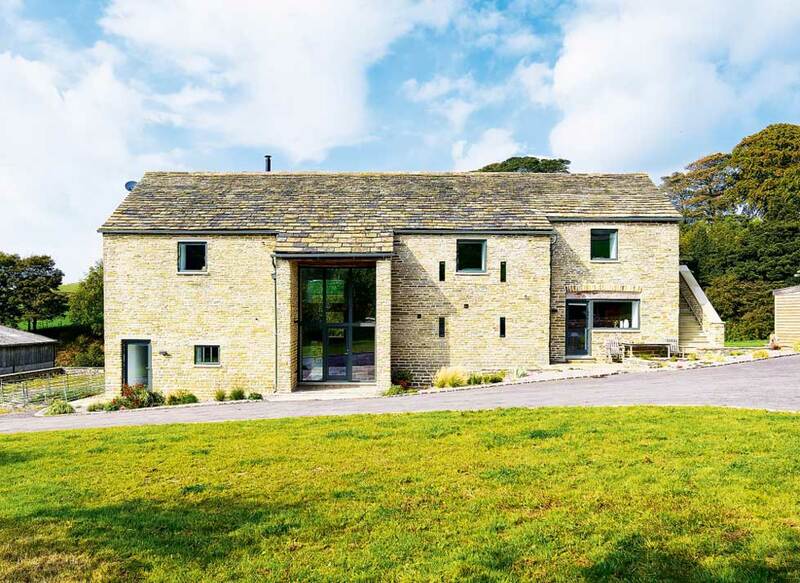 In order to create the feeling of two distinct homes, the barn was separated from the main farmhouse with a series of drystone walls and a new entrance track was created. Since buying the site in 1999, Iain had worked closely with local architects Hayes and Partners – who specialise in design and planning services for buildings that are in need of conservation work and listed properties – and enlisted their help dealing with the various planning and heritage departments as well as with the design of the new barn. Surprisingly, given the change of use application and the building’s proximity to the Peak District National Park, planning didn’t prove too difficult. A key advantage was that the barn was on the ‘buildings at risk’ register, as well as being Grade II listed, which meant the conservation officers were keen to find a different use for the building to save it from dilapidation and a roof that was caving in. Keen to be hands-on with both the design and building work, Iain took on the role of project manager and employed several contractors he had met over the years to help carry out the work. 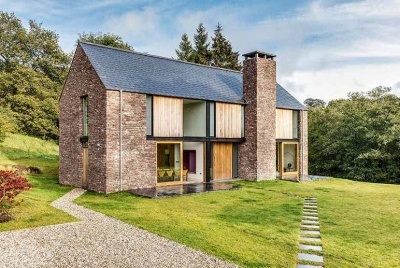 Local builder Michael Brown, who specialises in stone and uses traditional methods, was employed throughout the build and was joined by Mark McDonald of McDonald Wood who helped pull the whole project together. As the barn had been heavily used when the farm was up and running, it was “absolutely rat-infested” and the stonework walls internally were quite dilapidated. This meant that a new timber stud wall structure had to be built within the original building. “The best stonework was on the outside, but even that was in a terrible condition. Most of the lime mortar pointing had been washed away over time on exposed sections, so we repointed the whole building with a mortar matching the original,” explains Iain. 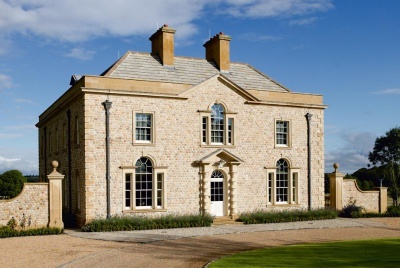 “The large area of stone flag roof was completely relaid with reclaimed sandstone grey slates too. 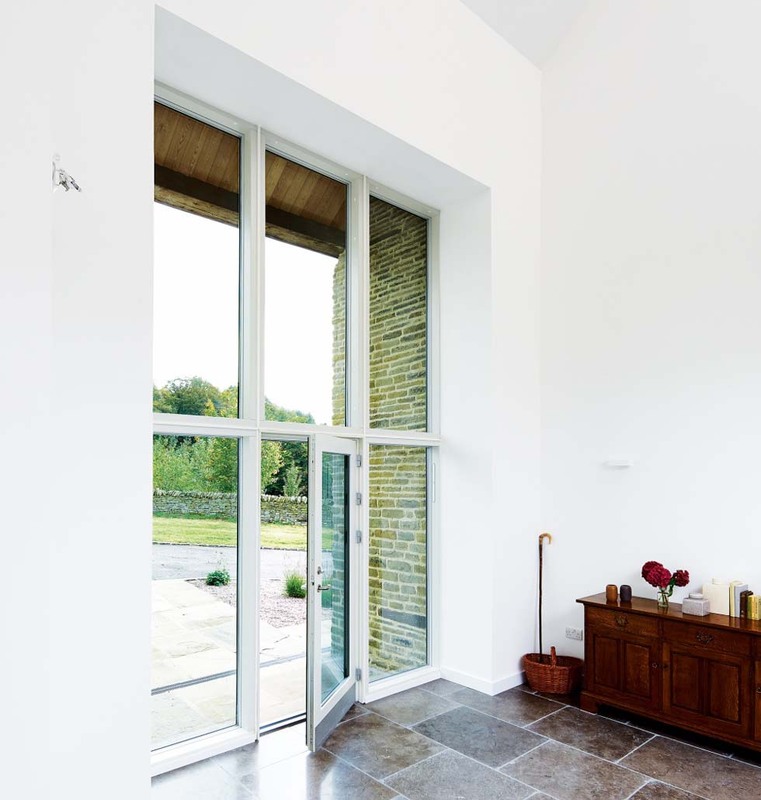 Unfortunately keeping the stone feature walls inside just wasn’t feasible, so we worked with the stud walls and went down the super-insulated route which has made a big difference to the internal environment and makes the house incredibly cheap to run,” he adds. 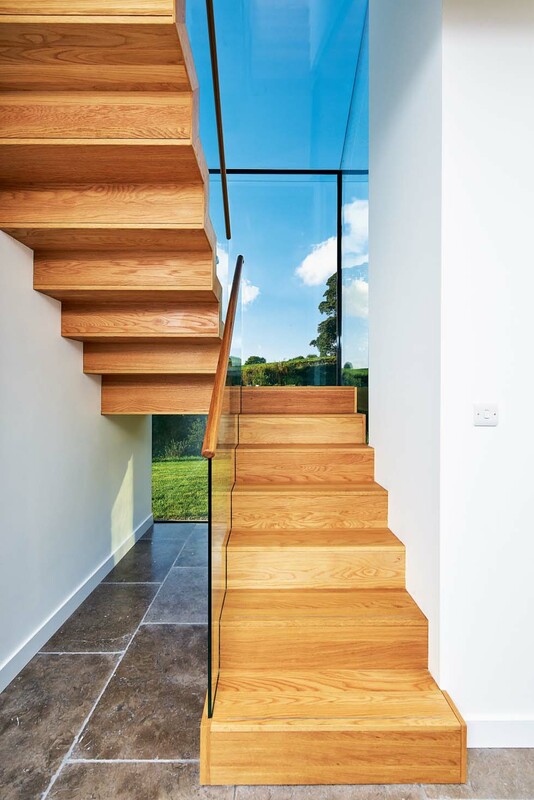 Iain and his team ran into a further set of challenges dealing with the building’s uneven surfaces, causing particular problems when it came to fitting the engineered glass over the stairwell. 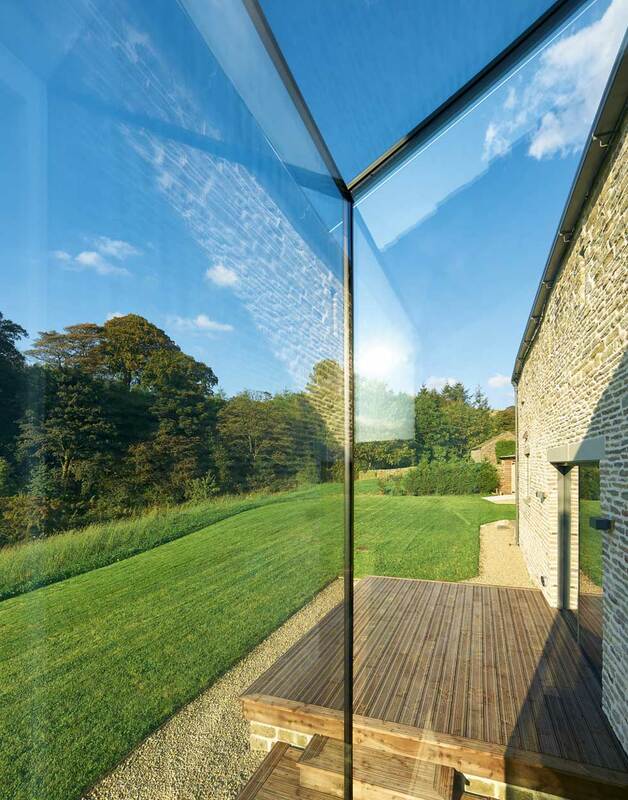 “Obviously glass needs to be installed onto a straight, flat surface, but those don’t exist in the barn, so that definitely caused a few issues,” says Iain. Also during the build, a new planning application was needed to change the windows from timber frame to aluminium composite and to add structural glazing in lieu of the originally proposed glazed oak screens. “It was a bit of an education for some of the companies we worked with,” admits Iain. Despite the arduous task of dealing with a structure of this kind, and a build time of two and a half years, the finished result is a spectacular home which pairs all the rustic charm of a stone barn with contemporary, open plan interiors and modern luxuries such as underfloor heating.